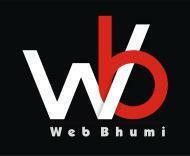 Web Bhumi is an IT Training & Web Development company. We are providing high-level Training. Quality training is our priority. Web Bhumi conducts classes in Adobe Photoshop Training, Angular.JS and C Language. It is located in South Tukoganj Road, Indore. It takes Regular Classes- at the Institute and Online Classes- via online medium.